We hope you are all doing well in this fine Thursday! 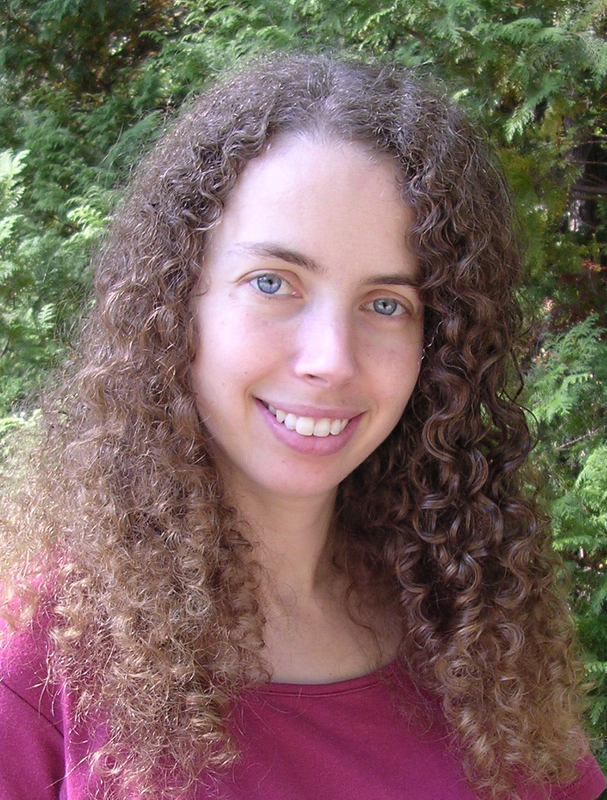 Today, we welcome back author Sarah Beth Durst on this here blog. We love Sarah's books! She writes these amazing standalone reads that are always so different and unique--from fairy tale retellings to trickster gods to hilarious were-unicorns. Hi Sarah! Welcome back to our blog! Please tell us a little bit about your creative process when you wrote CONJURED and how is it different from your other novels? Writing CONJURED felt a bit like jumping into a car to drive to the store and then realizing that the store is on Mars and the car has rocket engines and you're hurtling upwards at 100mph while technicolor pterodactyls fly past the window... In other words, it was a wild ride. The process went a little like this: "You can't do that, Sarah. Stories don't do that. Leave the pov alone, and walk away from that verb. That's not how... Ooh, wait, maybe I could do that. No, no, really, I shouldn't. But it's cool. And it works. And I like it. Do it, do it, do it!" I think I broke about a hundred writing rules in this book. It was fun and also more than a little scary... which I hope is a decent description of the book itself. 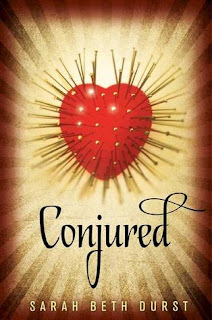 CONJURED is by far my creepiest, wildest novel to date. Vastly different in tone and setting from my epic desert fantasy VESEEL, my vampire and were-unicorn comedy DRINK SLAY LOVE, my fractured fairy tales INTO THE WILD and OUT OF THE WILD, etc. But it's also still me. Actually, I think that's the true key to my creative process: I have to like it. No -- I have to love it. Every broken rule, every turn in the road, every choice has to pass the same litmus test: "Does it work, and do I love it?" Eve is... a blank slate. She doesn't remember who she is or where she came from or why she has bizarre powers. She's been told she's in the paranormal witness protection program and that she escaped a magic-wielding serial killer who still hunts her. Eve likes... a boy named Zach who works in the library, has zero magic, and can't seem to stop talking. Eve dislikes... how every time she uses her powers, she blacks out and is drawn into terrifying visions. Eve dreams of... a carnival tent of tattered red and buttons being sewn into her skin. We know that your first adult novel, THE LOST, comes out in November. Will you be focusing on your adult novels for a little while or do you have another YA novel in the works? If you do, can you tell us a little about it? One lovely thing that I've discovered about writing: it gets easier. Sure, it's never easy, and some days you feel like you're trying to shove your brain through a colander. But you learn your own writing process. You learn what works and doesn't work for you, and because of that, you can become more efficient... which means, more books! A big thank you to Sarah for answering our questions. Guys, Conjured is already out in your favorite bookstore and public library. **We are not affiliated with any of the retailers listed and will not earn any referral fees if you click on the links. I got this book from Netgalley can't wait to read it. Really looking forward to reading more from her. Thanks for this post. Make me even more excited to read it !!! This book sounds fantastic!! Thanks for the interview. As for the question, I think I'd say cookies over cake...but I DO like cake with a lot of icing. Looks like a great read! Cookies!! More portable, easy to bake...! Oh I have this one from Netgalley, it sounds so good. And, I've got to say cookies! Both, and it depends on what flavor of each. But if forced to pick one, I say cake. I love them both, but cookies are my favorite. Making me decide is just cruel! Hmmmmm.....cookies! Me LIKE cookies (said with Cookie Monster voice). Oh man. that's actually a really hard question! I guess it all depends on what mood I'm in but right now I would go with cake! I'm not big on either, but if I had to choose it would be chocolate cake!